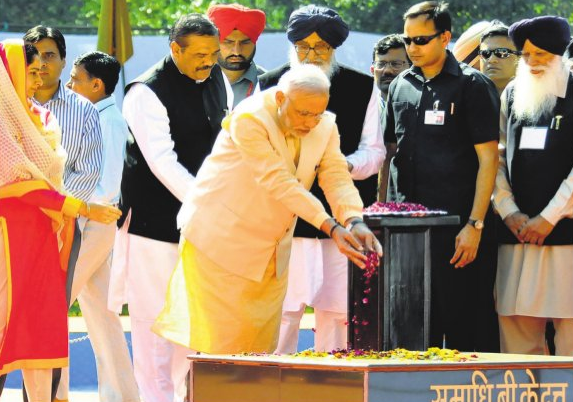 The Prime Minister of India, Narendra Modi visited Hussainwala in Ferozepur district of Punjab to pay tribute to freedom fighters – Bhagat Singh, Sukhdev and Rajguru on the eve of 84th annual martyrdom anniversary. A national martyrs memorial has come up in Hussainwala with face statues of these 3 brave men who fought for India’s independence. 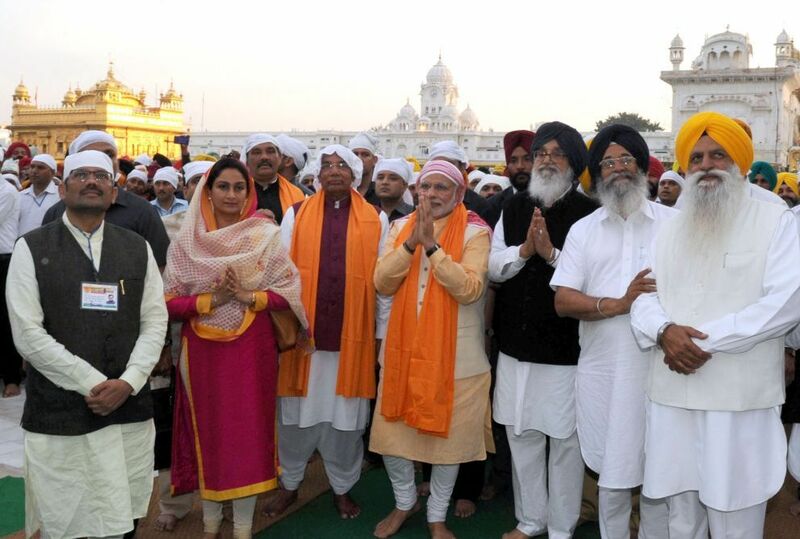 This was the first visit of Narendra Modi to Punjab after becoming the Prime Minister of India. 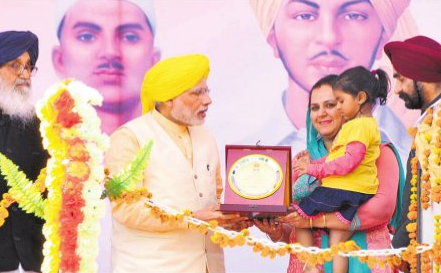 After paying tribute to Bhagat Singh’s statue at Hussainwala, Narendra Modi paid obeisance at Golden Temple, Durgiana Mandir and Jallianwala Bagh in Amritsar. He was accompanied by the Punjab Chief Minister, Prakash Singh Badal. 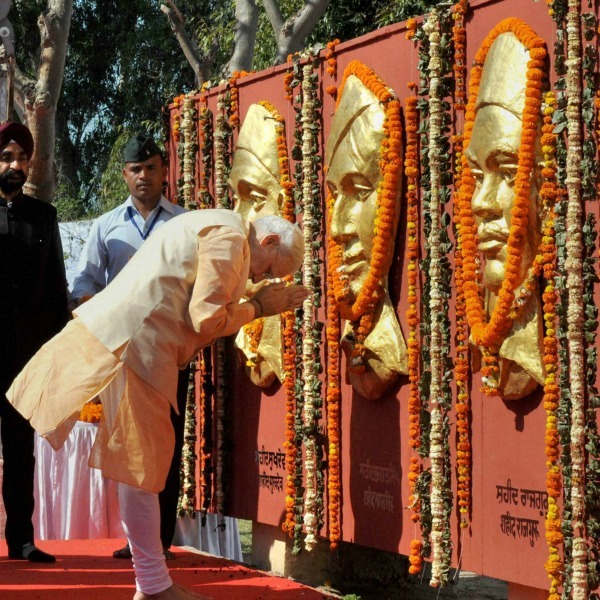 While addressing a rally on the occassion, Narendra Modi praised Bhagat Singh and said that he is still an inspiration for Indians. His name is so strong that it inspires citizens to live and die for India. Modi has become the first Prime Minister of India to visit Hussainwala in 30 years. While on his visit, he also honoured grand niece of Bhagat Singh, Manjula Sandhu.